After seeing this collection of Trash to Treasure projects, you’re going to be thinking twice about what you’re throwing away. With a little creativity and some sweat, you can take what’s old and battered, and transform it into something that’s beautiful. Just take a look at what these bloggers have done. Our first favorite Trash to Treasure project comes from Annie at Rocky Mountain Bliss. 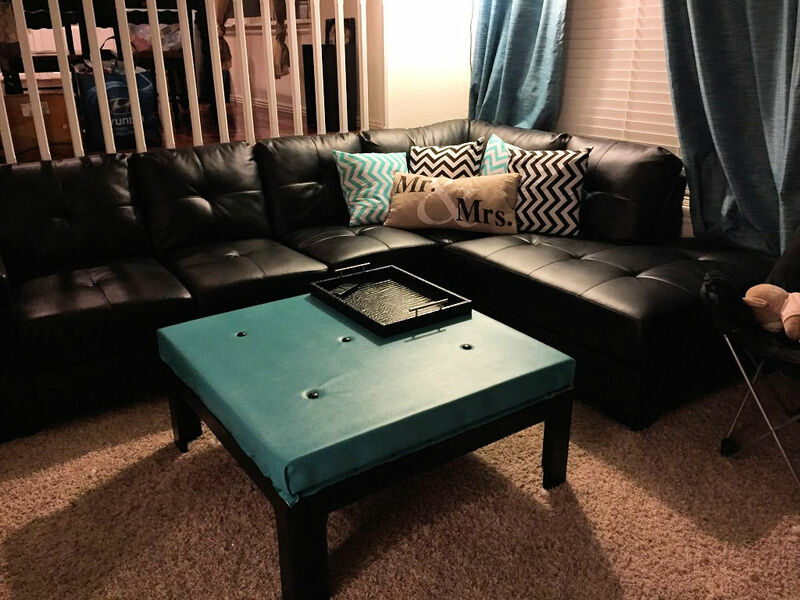 She took an old coffee table and transformed it into the perfect cushioned ottoman for her living room. All it took was some spray paint, buttons, cushion foam, vinyl, and upholstery tacks. Total cost of the project: $63! Side note: I’m pretty sure that one of my family members had a table from this exact same line back in the late 80’s/early 90’s, so I got a kick out of this project. Are you a crafter? Do you have some scrap fabric lying around? 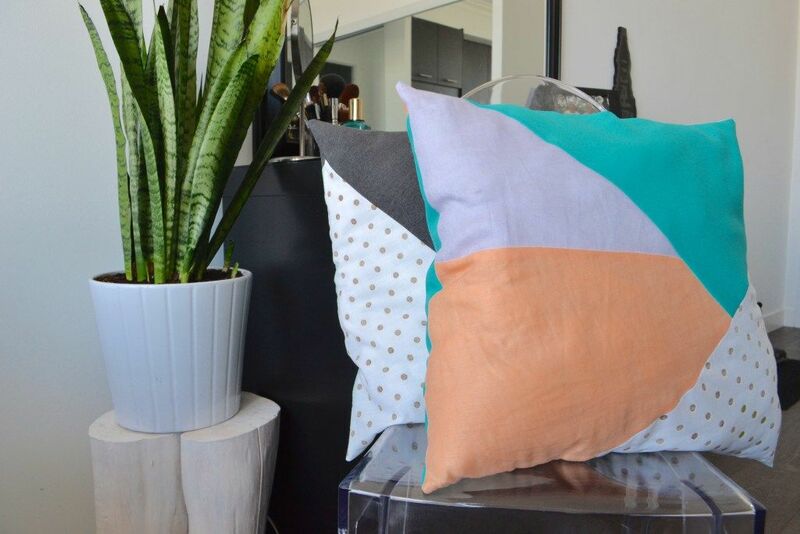 Tess at Angean used hers to make some stylish throw pillows for her home. If you’d like to do the same, she’s included a few patterns on her blog, along with some step-by-step instructions. One of my favorite furniture artists is Kandice at Just the Woods. She takes vintage furniture and transforms it into unique, one-of-a-kind pieces. Sometimes they’re elaborate, including special touches like elegant paper that only appears when the drawers are opened. 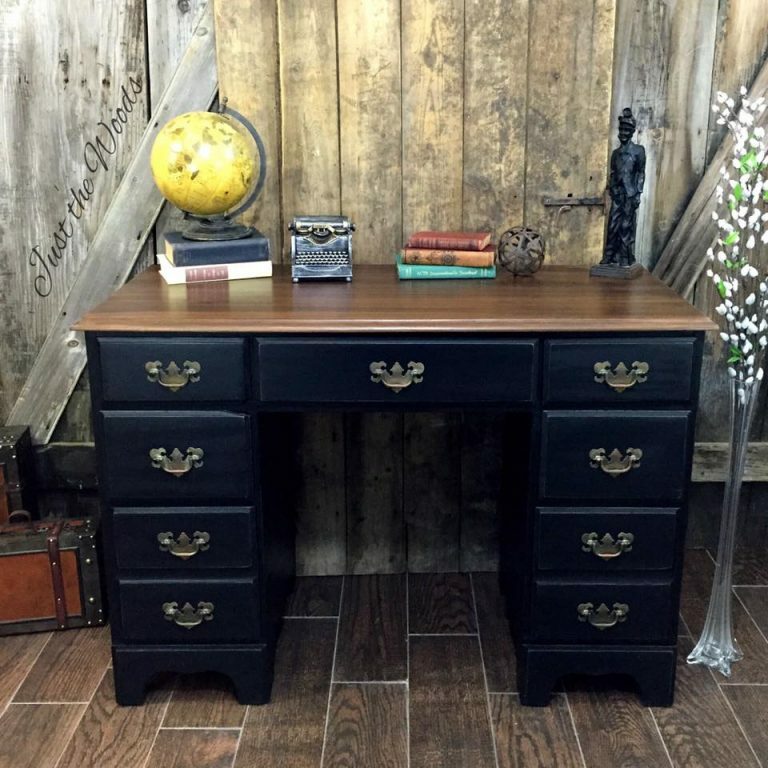 Other times, she does something timeless, like this battered vintage desk that she transformed with a beautiful matte black finish and stained top. 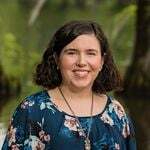 You can follow her on Instagram to see her most recent projects and tips. Sometimes it’s the simplest projects that leave a big impression. 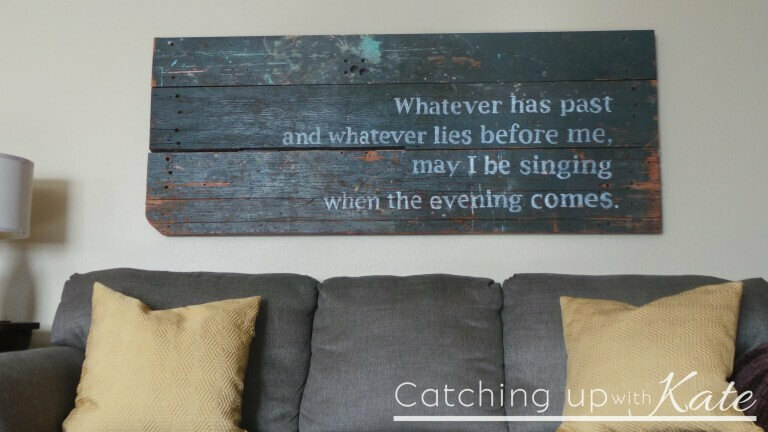 Kate from Highlights Along the Way took some old wood that her husband was tearing out of their fixer-upper and transformed it into a large sign for over their living room couch. What’s absolutely perfect is how the distressed wood matches the message of the sign. She shares the DIY project on her blog. 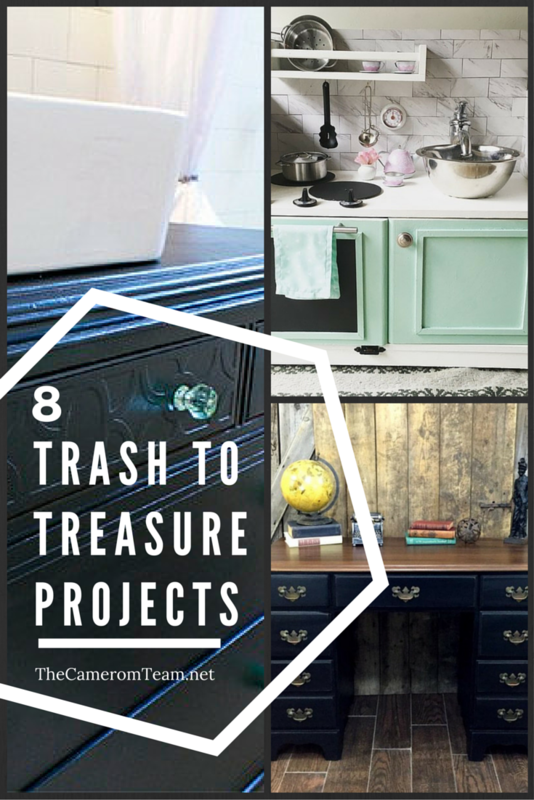 The best Trash to Treasure projects make you think outside the box. That was the case with Tori at Wear, Wag, Repeat. 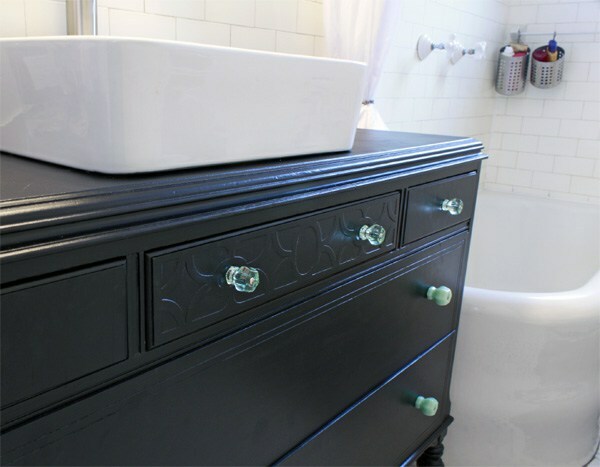 She took an old dresser she found on Craigslist and transformed it into a vanity for her bathroom. With fresh paint, vintage knobs, a new sink and faucet, and some carpentry ingenuity to get it to fit just right, the dresser became the perfect look she was searching for. She shows you how it was done on her blog. Even kids can benefit from a good Trash to Treasure project. Just take a look at this play kitchen created from an old entertainment center by At Home with Ashley. 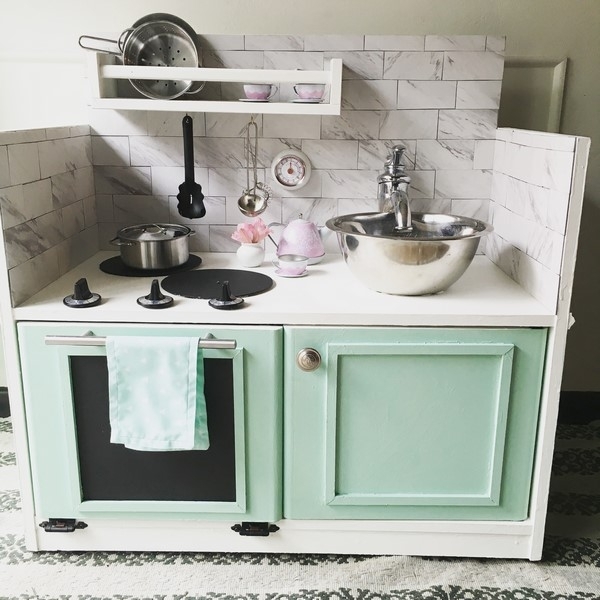 With a $50 budget, Ashley set out to make a classy play kitchen for her son. With some thrift store shopping, she made it work. Add on some accessories and the whole project comes to just over $68! Follow Ashley on Instagram to see her latest projects. Finally! Something you can do with that old filing cabinet you can no longer use! 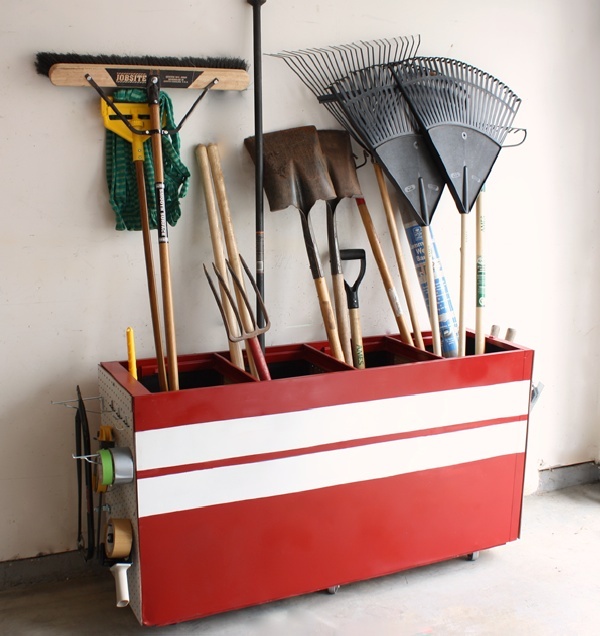 Kaydee from Trash to Treasure took an old 4-drawer metal filing cabinet (missing drawer and all) and transformed it into garage storage for holding rakes, shovels, etc. She gave it a custom paint job, added some pegboard for smaller tools, and even put it on casters for easy moving. See the whole project on her website. This project is absolutely adorable and sure to be a conversation starter! 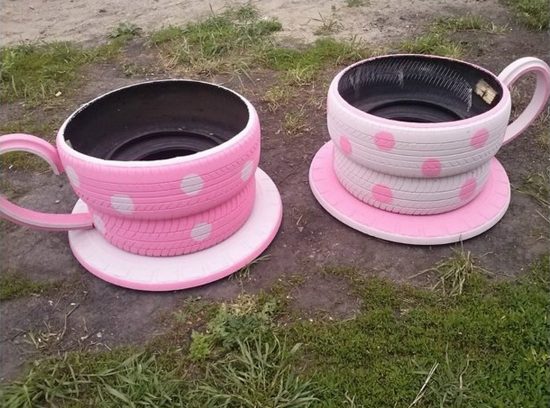 Wonderful DIY has a collection of tutorials for making planters out of tires, including these teacup planters. There are a few varieties, depending on how ambitious you’re feeling, and a video to show you how to cut the tires. So much fun! Do you have a Trash to Treasure project that you’ve completed? Share it in the comments and it may be featured in a future post.